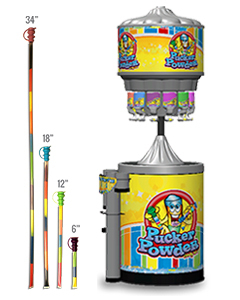 Pucker Powder® is a fun interactive candy dispensing system. It was launched over 15 years ago as has been satisfying both retailers and customers alike! Its bright, bold design attracts customers from every angle. 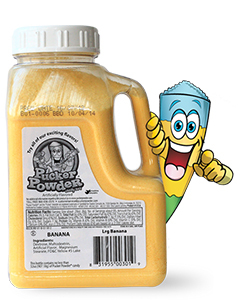 Its sweet and sour powders keep customers coming back for more! There are various fixtures available. Some locations have huge attendance – try the 14 Flavour! The most popular dispenser is our 12 Flavour. Don’t have floorspace? The 3x Modular allows Pucker Powder® to mount on slat wall, or gondola shelving! Into rentals? We offer the Pucker Powder Mini just for that! Want to take a Pucker Powder® system home with you? 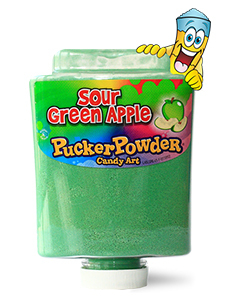 Try our Pucker Powder® Custom Candy Kit.